December 5th Toronto show announced! 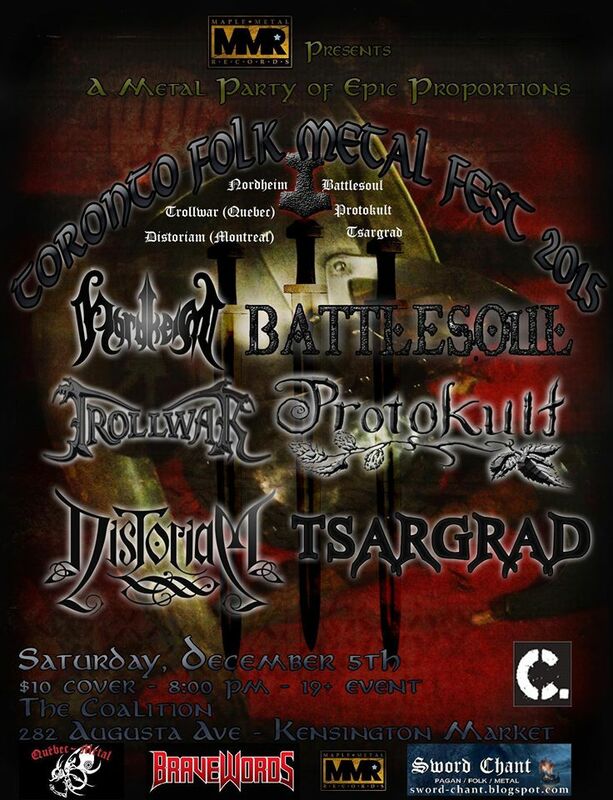 PAGANFEST did not tour in Canada this year, so Maple Metal Records is proud to present TORONTO FOLK METAL FEST 2015! Together on one stage are some of Canada’s Best Folk & Viking Metal bands!